If a beautiful lawn surrounds your property, garden or you have fields that bring food to your table, you know how much work it takes to grow any plant successfully. For this reason, there are constant innovations in producing tools and machinery that help reduce the stress and the amount of physical work and effort one puts into this kind of work. A fertilizer spreader is one such tool; it is a multipurpose device which can spread fertilizer, seed, lime, ice melt, and sand, both quickly and evenly. You should definitely own one, and we have, therefore, comprised a detailed guide that will help you find the best broadcast spreader currently on the market. Best Tow Behind Sprayers – Which One Is Best For Your Choice? As attractive as a lawn can be, there is no denying that you have to invest a lot of work into making it look that way. Investing in a tow behind sprayer can help make things easier and quicker as long as you have an effective way of pulling the sprayer. When looking for ways to help our lawn excel even in the hottest months, why look further than lawn sprinklers? With these amazing devices, your lawn receives the water and nutrition it needs without having to do it manually. In fact, you could put your sprinklers on a timer and have your lawn watered even when on vacation and this is one of the many advantages. This being said, people tend to rush into the decision to buy lawn sprinklers without really understanding the options and what they mean for your lawn. Therefore, we’ve decided to compile eight facts you should know about the process of lawn sprinkling! Looking at your garden flourishing after a hard effort supporting it can be the best reward for a gardener. People like us know how hard it can be to maintain a larger property. To help you with spraying, we’re comparing the best ATV sprayers on the market. If you’re a homeowner and own a gardening hose, chances are you’re tired of constantly having to bring it outside to use it and then having to pack it up for storage. What’s your alternative? To just leave it outside, stretched out across your lawn? Not really, because hoses tend to crack in the sun. You could consider getting a retractable hose reel, though. We’re here to help you pick out the best retractable hose reel for your household’s needs. Whether you use maiden grass as focal points, screens or accents, let them form part of your garden. It is also good for use in any sprawling small yards and estates. Grasses come in many different varieties that provide an easy way of adding contrast and color to a monochrome. In this post, we will cover 10 interesting ways to make the best use of maiden grass in your garden. Continue reading to learn more. Maintaining your dream law and garden requires a lot of work. You want them to continue to look amazing. One of the tools that help to achieve that dream is the best hose end sprayer. I know it is one of my favorite gardening tools. I use a hose end sprayer to help spray my homeowner fertilizers over my vegetable garden. I also have a hose end sprayer I use to eliminate weeds in your driveway and along the edges of my flower garden. The great thing about hose end sprayers is that they are much smaller and more affordable than backpack sprayers. You can efficiently spray liquids without needing to spend too much money. They are versatile; you will find plenty of uses for them! Roaring fires and the perfect burn are predicated by hours of splitting logs down to size before being consumed. Getting wood fuel made into pieces perfect for aging and stacking requires the best splitting mauls you can find. Unlike a traditional axe, the maul slices down into the grain of the wood rather than against it. The 5 Best Sprinkler Heads – Don’t Buy Before You Read This! The care for your garden or lawn extends through the irrigation. Certainly, you could just take the garden hose, but the best way is to use the sprinklers. This article will try to provide you with essential info related to the best sprinkler heads. 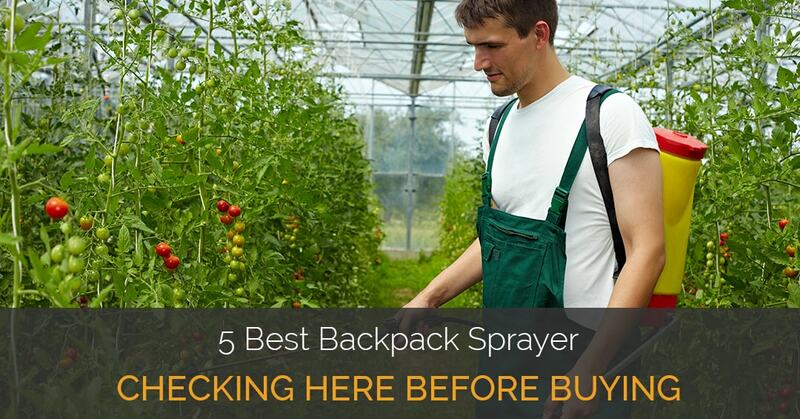 5 Best Backpack Sprayer – Check Here Before Buying! Our driveway is a quarter mile long filled with gravel. The weeds grow along the edges and infiltrate the center where our tires don’t run often. I can’t stand the look of a weed-filled driveway, but hand spraying weed killer is frustrating. My husband started using what he thinks is the best backpack sprayer to do his job throughout the summer just a little easier. What To Look For When Buying A Fertilizer Spreader?